Partnered with Hummingbird Farm, Chrysalis Community provides holistic therapeutic, nutritional and disease prevention stays for those seeking rest, repair and restoration from their specific environment of oppression. Overseen by our team of counselors, mentors, traditional, functional and holistic doctors, nutritionists and other volunteers, our stays offer transformation of the mind, body and soul. Our goal is not to just provide short term rescue or simply treat an illness. Our hope is to help guests be fully restored by gaining freedom form the environments and stresses in their lives. We believe the best way to do this is by taking a holistic approach. 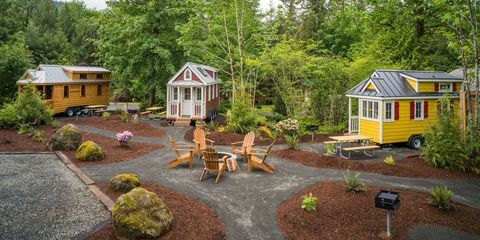 Starting with a season of refuge in our Tiny Home Village, the Chrysalis Care Team will then help develop a specific plan to help overcome that which is preventing you from living in peace. While with us on the organic farm you will have time to be recover, be repaired and begin the restoration process. Providing spiritual, mental and emotional support, organic Food Plans, traditional and alternative medical care as well as education and habit breaking counseling we pray you are transformed and leave us a new creation! Offered on select weekend days, our Workshops will serve as educational and instructive courses for those looking for help with battling an environment of oppression. Chrysalis believes in the power of educating and then putting that knowledge into action. Members of our amazing Care Team will lead short or intensive session designed to identify, eliminate, prevent and address stressors in your life. Alternative Treatments 101 – Discover current proven alternative treatments for everything from allergies to terminal cancer. Begin the Battle – If you are wanting to kick off an alternative health care plan come be encourage and leave with tools to help you succeed! Offered the 3rd weekend of select months this introductory respite will help you jump start a holistic plan put in place by our Care Team or your medical advisers. During this weekend you will take part in seminars and hands on courses to help you develop your “New Life Plan”. Our goal these two days will be to help you better understand your diagnosis/condition, see how to best treat its symptoms, eradicate its causes and implement prevention practices into your daily routines. All your meals will be made on site with ingredients grown on the farm or from our amazing local farm partners. You will join us in all meal preparation so you can begin antiquating yourself with how to best prepare the foods you will be prescribed moving forward. Offered the 3rd week of select months, this week long stay offers a longer refuge from the stressors in your life and a better opportunity to break old habits and start new ones. The week will start with a full consultation from our nutritional, medical and therapeutic team where a “New Life Plan” will be developed with you. We will then put this holistic plan into motion! During this week you take part in seminars and hands on course to help you better understand your diagnosis, treat its symptoms, eradicate its causes and implement prevention practices into your routines. You will have time to rest but, you will also be immersed into the farm and its relationship with creation. All your meals will be made on site with ingredients grown on the farm or from our amazing local farm partners. You will join us in all meal preparation so you can begin antiquating yourself with how to best prepare the foods you will be prescribed moving forward. Recommended for those diagnosed with terminal health conditions, dealing with traumatic events or escaping abusive environments. Offered April, June, August and October, this stay offers adequate refuge from the environments of oppression in your life and a great opportunity for your mind, body and spirit to be restored. This month will start with a full consultation from our nutritional, medical and therapeutic team where a “New Life Plan” will be developed with you. We will then put this holistic food and farm based therapeutic plan into motion! You will live along side us as we strive to battle your illness, reduce your pain, address your choices and overcome your fears…together! You will be welcome at all seminars and hands on courses to help you better know your path ahead and implement your new plan. You will have time to rest but, you will also be fully immersed into the farm and its relationship with creation. All your meals will be made on site with ingredients grown on the farm or from our amazing local farm partners. You will join us in all meal preparation so you can begin antiquating yourself with how to best prepare the foods you will need to eat moving forward. BY APPOINTMENT ONLY. This stay is recommended for those battling the most aggressive illnesses or oppressive environments. This season of life will start with a few days of just rest. Soon a full consultation from our nutritional, medical and therapeutic team will aid in developing a treatment or therapeutic plan. We will then put this holistic food and farm based plan into motion! You will live along side us as we strive to battle your illness, reduce your pain, address your addictions and overcome your fears…together! You will be welcome at all seminars and hands on courses to help you better know your path ahead and implement your new plan. You will have time to rest but, you will also be fully immersed into the farm and its relationship with creation. All your meals will be made on site with ingredients grown on the farm or from our amazing local farm partners. You will join us in all meal preparation so you can begin antiquating yourself with how to best prepare the foods you will need to eat moving forward.